Among all, the most hated season for any female appears to be monsoon, although, they enjoy the rain and love to get drenched in their own comfort zone. The reason is very simple, looking gorgeous in the rain is and will remain more important than getting drippy; any day. The very thought of getting completely disordered plays havoc on the mind of perfectionist damsels of our time. Not to worry. Style Hunter has identified a perfect aesthetic for you to have complete control of your look while making a perfect style statement. 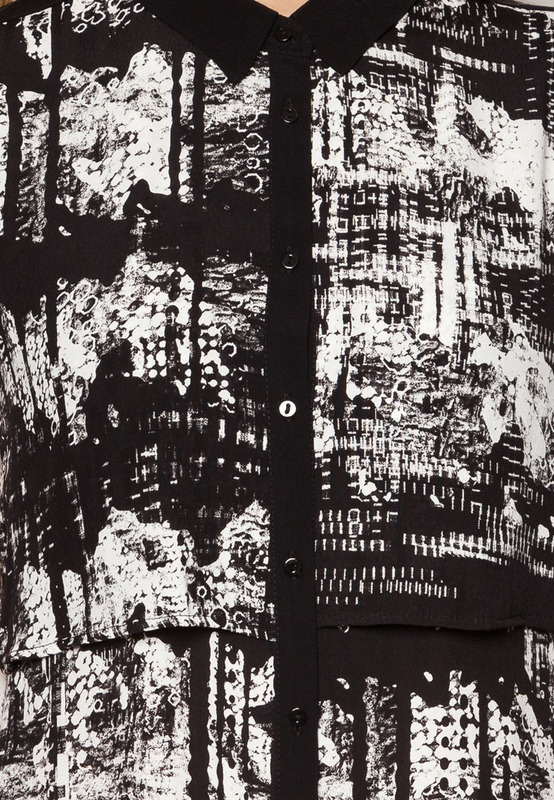 Make an ethereal infusion of photographic abstract print combined with basic colors and modern embellishments in this Black And White Print Loose Shirt Dress designed by the River Island. This Viscose made silhouette is a perfect companion on a rainy day, which is light in weight and has the ability to absorb rain drops. Perfectly breathable in design; sleeveless Black And White Print Loose Shirt Dress is a perfect outfit for a transformation from day to night. Available at Zalora with 60% discount, this River Island creation will certainly provide you comfort on a rainy day and brighten many eyes with your look. This entry was posted in Dresses and tagged Abstract Print Dress, Black and White Print Loose Shirt Dress, Discount Code, Fashion, Loose Shirt Dress, Monsoon Fashion, Online Shopping, River Island, Singapore Coupons, Singapore fashion, Women's Fashion, Zalora, Zalora Discount Code. Bookmark the permalink.